This week I'm sewing Easter dresses. They would be done by now if not for two things a) I sewed a skirt panel in upside down (oops), b) I kind of distracted myself and sewed something else entirely one evening. 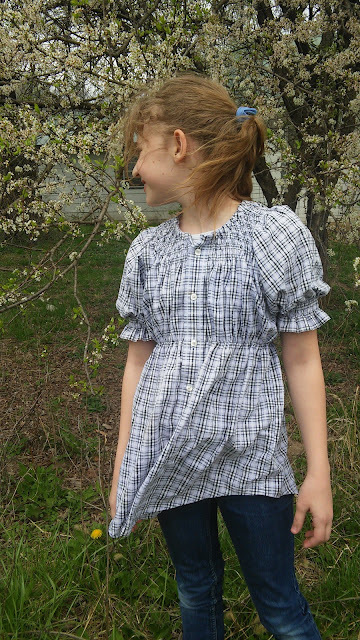 The idea started with me thinking over potential fitting issues with my Easter dress, and ended with me pulling this shirt out of my refashion bin. I cut a new (huge) neckline, bound it with bias tape, then started sewing. . .
. . .with elastic thread. That's right, I was trying my hand at shirring! I'd never shirred anything before and found it surprisingly easy! Less than two hours, one shirt, one cut, and one spool, of elastic thread later, my sister had a cute, frilly, feminine, tunic top. 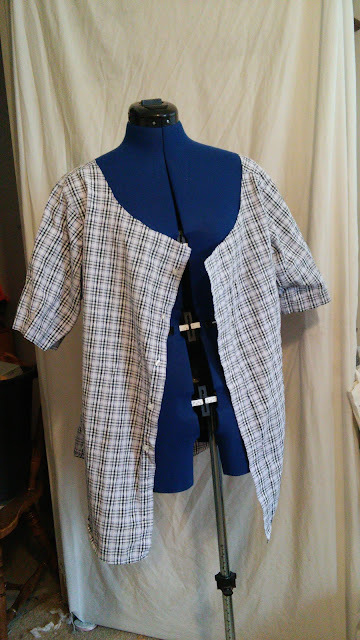 I think I figured this whole shirring with elastic thread thing out! Check out my blog post to see exactly why and how I decided to make this top, despite everything else I need to get sewn this week. Now back to sewing Easter dresses so I can put this new found skill to use again! Awesome! 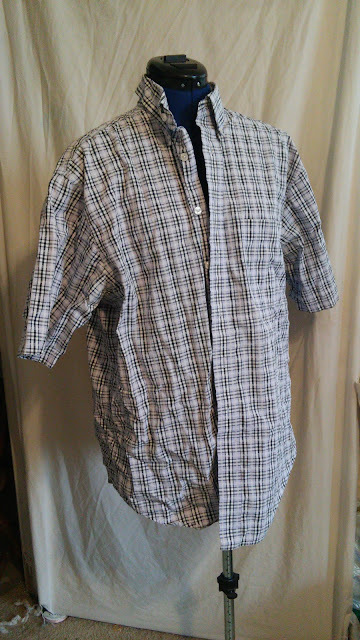 It turned out really nice :) I've never had the nerve to try shirring... maybe I will now! Thanks! Yes, absolutely try shirring. I was sure it would be complicated and difficult, but really it couldn't have been easier. You wind the elasic thread by hand onto your bobbin, put the bobbin in your machine like normal, thread the machine with normal thread, lengthen your stitch length, then sew. It really couldn't be easier and there are several great tutorials out there with pictures.